2. Soldier Clerk/Store Keeper Technical (Clk/SKT). 3. Soldier Technical (Aviation/Ammunition Examiner Trade). 1. 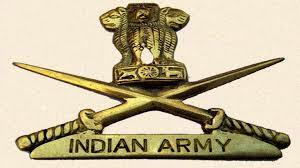 Soldier General Duty (Sol GD) Incl Sol GD (IDG) - (aa) Minimum Matric/SSLC/10th Class pass from recognized Education Board/ Institutions with minimum 33% marks in each subject (not applicable in additional subjects) and 45% marks in aggregate with the exception that the candidates from Sampurnanand Sanskrit Vishwa Vidyalaya, Varanasi, in addition must have passed Purva Madhyam with English as compulsory subject. Candidates passed in supplementary exams possessing requisite percentage are eligible. It is also clarified that the indls who have edn certs issued by Hindi Sahitya Sammelan Allahabad upto 31 May 2013 only will be considered for enrolment. Any cert issued after 31 May 2013 will not be considered for enrolment. 2. Soldier Clerk/Store Keeper Technical (Clk/SKT) - (aa) Minimum 10+2/equivalent pass in any stream (Arts, Commerce, Science) with 60% in aggregate and 50% in each subject from Education Boards/Intermediate Institution recognized for enrolment. The candidate should have studied and passed English and Math/Accounts/ Book Keeping at 10th or 12th level. If candidate is graduate with Math and English as his subject in BSc, the stipulation of scoring 50% in Cl X/Cl XII is waived off. In case candidate is graduate but not having English and Math/Accts/Book Keeping, he should have secured more than 50% in English & Math/Accts/ Book Keeping at least once in Cl X or Cl XII. 3. Soldier Technical (Aviation/Ammunition Examiner Trade) - (aa) Minimum 10+2 /Intermediate exam passed in Science with Physics, Chemistry, Maths and English with 50% marks in aggregate and 40% marks in each subject from Education Boards/Institutions recognized. OR (ab) Three years Diploma in Engg (Mechanical/ Electrical/ Automobiles/Computer Science Mechanical Engg and Electronic & Instrumentation Engg) from a recognized Polytechnic Instt. 5. Soldier Tradesmen (TDN) - (aa) Minimum 10th Pass. Chef Community, Steward, Washerman, Dresser (Barber), Kennelman, Painter, Tailor, Equipment Repairer (Support Staff), Saddler (U), Artisan (Metallurgy) and Artisan (Wood Worker). (ab) Minimum 8th Pass. House Keeper (Safaiwala), Mess Keeper and Syce. 1. Soldier General Duty (Sol GD) Incl Sol GD (IDG) - 17 ½ to 21 years as on 01 Oct 2018. Candidate will be screened as per cut off dates mentioned in Rally Programme (Leaflet) as per paragraphs 9. 2. Soldier Clerk/Store Keeper Technical (Clk/SKT) - 17 ½ to 23 years as on 01 Oct 2018. Candidate will be screened as per cut off dates mentioned in Rally Programme (Leaflet) as per relevant paragraph 9. 3. Soldier Technical (Aviation/Ammunition Examiner Trade) - 17 ½ to 23 years on 01 Oct 2018. Candidates will be screened as per cut off dates mentioned in Rally Programme (Leaflet) as per relevant paragraph 9.